Where are more savings in business? 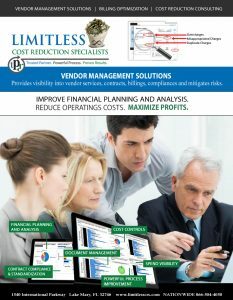 How do we reduce costs more and increase vendor accountability at the same time? Cost reduction is a planned positive approach to reduce expenses. It is achieved by continuous analysis of costs, corrective functions and financial planning. It is important to the health of a company to manage costs. An effective cost reduction plan is one that focuses on lowering costs in every business activity. The reduction should not be at the cost of reducing quality of products or services rendered. Some businesses are concerned that conducting a business cost reduction analysis might damage their relationships with existing suppliers. The better you understand the: marketplace, bench-marked deliverable’s, vendor standards – (pricing-terms-conditions-clauses) the closer you can manage the expectation of those deliverable’s raising the vendors quality and accountability. It is indeed possible to cut costs and improve delivery while, strengthening relationships with trusted suppliers. To seek rate reductions from current providers, you must do so in a positive manner. – If you pay supplier invoices with a business credit card, offer to pay with cash or check in exchange for a % discount on each invoice. This benefits you by immediately lowering your costs, removing potential late fees and benefits the supplier by eliminating the credit card processing fees that the supplier would have paid otherwise. Note — to be win-win, the % discount must be less than the supplier’s credit card processing fee expense. That way the supplier experiences cost savings as well. – If you purchase a consistent amount of products or services from a supplier, consider establishing a minimum purchase commitment with the supplier in exchange for a discount on any purchases made above the minimum purchase commitment. This benefits you by reducing your marginal costs for purchases above the minimum and benefits the supplier by guaranteeing a certain amount of revenue. The supplier also benefits by earning incremental revenue on any purchases you make above the minimum. – If you have significant confidence in your relationship with a supplier, consider negotiating a discount in exchange for signing a longer than normal contract (e.g., 4-year versus 3-year), or by extending the term of a current contract beyond its current expiration date. 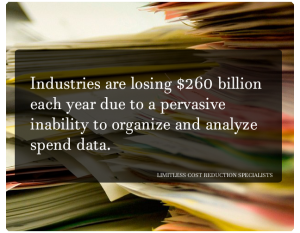 Cost reduction analysis doesn’t need to be an adversarial process. Instead, it can be used as an opportunity to think creatively and collaborate with your trusted suppliers to everyone’s benefit. Through technology and the emergence of the vendor management outsourcing industry, companies can reduce costs, increase efficiencies, and increase profits to be in a better position to deal with the inevitable cyclical economic downturn. There are many advantages of cost reduction. 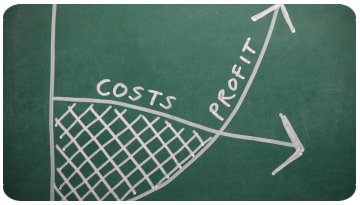 Cost reduction causes a definite increase in margins. The savings may also be passed to consumers in the form of lower prices or more quantity in the same price. This will create more demand for the products, economies of large scale production, more employment through industrialization and all-round improvement in the standard of living. Increased competitive strength to the industry stimulates more exports. Thus, profit is increased by reducing the costs, it can be utilized for expansion of the organization which will create more employment and overall industrial prosperity. Increase in profits also provides a basis for more dividends to the shareholders, and with investors spend management is a high expectation .